Radisson Blu has opened a 224-room hotel in the Swiss resort of Andermatt, 1km from the ski area. The Radisson Blu Hotel Reussen is part of a major transformation of the picturesque resort. Yilmaz Yildirimlar, the group's area senior vice president for central Southern Europe, said: "We're delighted to open this iconic landmark in the charming mountain village of Andermatt after an extensive construction period. "We're also proud to be a part of the overall development of this new year-round destination that provides guests with unique nature experiences, sporting activities and a first-class range of culinary delights. 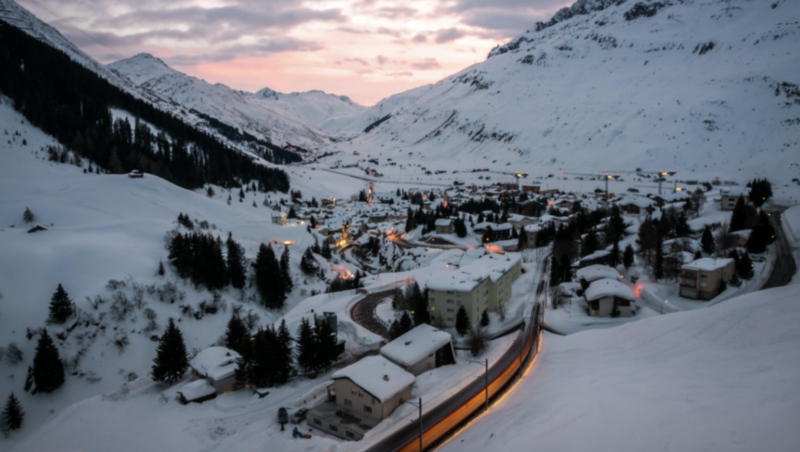 We see Andermatt as a promising and powerful driving factor for tourism in the region, as well as for the MICE sector." Franz-Xaver Simmen, CEO Andermatt Swiss Alps, added: "The opening of the Radisson Blu Hotel is a key element in significantly increasing the bed capacity of Andermatt, showing that its development as a destination is flourishing. Together with the new ski area Andermatt-Sedrun, two major projects have been completed and are new driving forces for the tourism sector." The hotel is designed in a Swiss chalet style with an open lobby lounge with a bar and fireplace, an Italian-inspired restaurant, and a 25-meter pool featuring a panorama view, a sauna and steam bath. Rooms have high-speed internet, LED televisions and 24-hour room service. There are also six modern meeting rooms and boardrooms and a large, multifunctional concert hall, opening in the spring.